1. Running out of boxes to fit all your stuff in? Fear not, as Storage Giant’s on-site packaging store has everything you need. We sell sturdy cardboard boxes, packing crates, bubble wrap, furniture and mattress covers, tape, and even labels and pens to mark your stuff. We even offer discounts for bulk purchases, so don’t worry if you have a lot of things to transport. 2. Planning to move transport your things by endless car journeys? 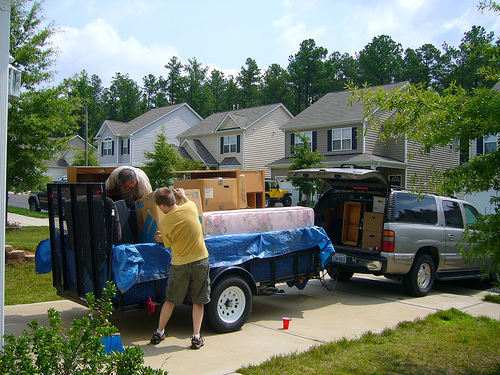 Think again, as at Storage Giant the most affordable removal service in Cardiff, Newport, Bridgend and Swansea, and we also organise home moves further afield. All of our staff are fully trained, and if you give us a call today we can give you a quote within an hour! 3. Renting or staying with friends in between houses? Downsizing? Moving abroad? Take advantage of our affordable self-storage rooms. We have 1400 rooms in 40 different sizes, so there is guaranteed to be something to suit your needs.